First founded in the late 1940s in Switzerland by two watchmakers, today Socorex continues to offer European design and quality liquid handling products. Pipette.com carries the complete line of Socorex Pipettes, Syringes and Bottle Top Dispenser. Socorex Pipettes include manual and electronic, repeater pipettes, and pipette controllers. 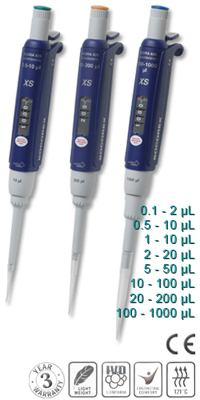 Uniquely, the electronic pipette models feature a reversible digital display that can be displayed in either direction, allowing easy measurement while using either your left or right hand. Their most popular pipette lines are the Acura® and Calibra® Pipettes. Designed with optimal ergonomics in mind, these pipettes can be used with either hand and are lightweight to make extended pipetting a breeze. Manufactured in Switzerland with high quality material. each Socorex Pipette is equipped with its own serial number and goes through strict performance control, more information can be found in the individual QC certificate that accompanies each pipette. Socorex is dedicated to providing precision and quality through all its pipettes. Their promise to manufacturing the most reliable instruments has created a brand recognized commitment to customer’s needs. All Socorex Pipettes come with a 3-year warranty. One of the most popular Socorex Pipettes is the Acura 815 Fixed Volume Pipette. It is lightweight and has a soft plunger to reduce fatigue during prolonged pipetting sessions. Fully autoclavable, it is chemical, heat, shock, and UV light resistant. Another popular one is the Calibra 852 Multichannel Pipette, which is available in 8 and 12 channels. The lower assembly of the pipette can be completely revolved around for further mobility and comfort. If desired, the ejector head can be changed to a thinner ejector. Please refer to each Socorex Pipette below to check which one is best for your experiment. 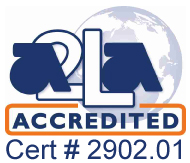 If you have any questions, please contact Pipette.com at 800-243-3232 or info@pipette.com.